Dennis P wrote: So if you plug your phone directly into the landline, you can draw regular dialtone fine and make an outgoing call, right? I don't see any logs for your device, which would be really helpful to troubleshoot a problem like this. Do you have your Hub setup behind a router or firewall of some kind? Can you open up UDP port 514 if it is being blocked? This will let us see the logs to help troubleshoot. Question #1: YES. Question #2 & 3: ?? OK ... you're speaking a foreign language here. Have no idea what "behind a router or firewall" means, let alone UDP port 54. 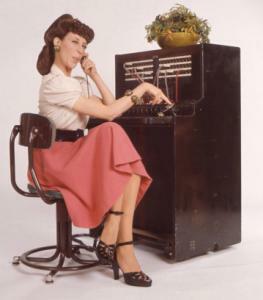 I tried to call my cell phone (local) and also the "power outage" phone number as a test (1-800-667-3000). Here is what I did: Ooma dial tone (not regular dial tone) - dialed - absolute silence for about 22 seconds - busy signal. Should I call my trusty "Geek" back again? Dennis P wrote: Should I call my trusty "Geek" back again? Actually not a bad idea since you paid him to set it up for you, and it's not working to your satisfaction. So who would that be...? Bobby? That's not very nice! ...So who would that be...? Bobby?.. I think OP used the local "geek squad" to setup ooma. Yea, I guess I bungled the quoting tags...sorry Dennis! I'm going to have a tech reach out to you and do some real-time troubleshooting. You should get a call tomorrow. Groundhound wrote: Yea, I guess I bungled the quoting tags...sorry Dennis! I thought is was amusing... It's ok though, we all have some geek in us and I personally am proud of it! I have the exact same problem and OOMA couldn't solve the issue over the phone. My ooma is not behind the router but directly connected from cable modem. Also I have been using it for two months without this issue. Sudeently this issue occured. Ever since you guys updated your web, I have had problem accessing my account online and now I have this problem. I called three time to speak to right person. By the way, call quality to customer service is pretty bad with shuttering, echoing.